Call us at 0800 808 5745. Our customer support team will be happy to assist you. GLAMIRA.co.uk is home to exceptional items of jewellery to suit every taste. Whether you’re looking for the perfect pair of earrings or an engagement ring that says ‘I love you’, you will find exactly what you’re looking for right here. Browse a huge range of engagement rings, necklaces, cufflinks, bracelets and keepsakes. And if you can’t find what you’re looking for, you can create your own bespoke items - something that will be very personal to your or that special someone in your life. GLAMIRA.co.uk is your one-stop shop for premium gold jewellery, diamond jewellery, necklaces, bracelets, earrings, engagement rings and wedding rings. Whatever the occasion, there is an exquisite item right here for those special occasions in life. Whether you are searching for an eye-catching eternity ring or a glamorous necklace, you will find it here. There are also options for less formal occasions, including pendants, earrings and bangles - available in platinum, gold and silver. And you can add an extra special touch to your jewellery at GLAMIRA.co.uk by personalising it with a heartfelt message or a name. 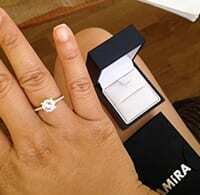 Whether you want a unique ring with gemstones or an enchanting diamond engagement ring for your future wife, finding the perfect item is quick and easy with the GLAMIRA.co.uk ‘Gift Finder’ service. Find the ideal gift for those special occasions in life, including marriage proposals, weddings, birthdays, anniversaries, Valentine’s Day and Mother’s Day. The perfect ring, necklace or bracelet is not just a gift, it is an expression of love, friendship and appreciation. 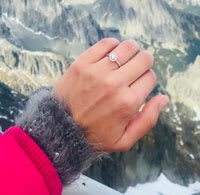 Don’t take chances when it comes to those special, once-in-a-lifetime moments - find the luxury item that defines your affection for a loved-one at GLAMIRA.co.uk. 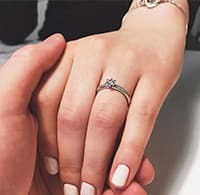 Getting engaged to the love of your life is truly one of life’s greatest moments - and it deserves to be celebrated in style. 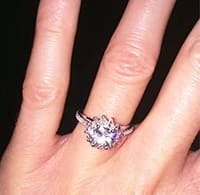 The engagement ring you choose has to tell a story, as well as send a message. 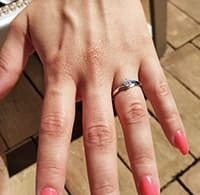 It is important that you take your time when choosing the ideal engagement ring, which is why GLAMIRA.co.uk is the perfect place to make your choice. Browse a wide selection on the website, or design your own with the help of an easy-to-use online design utility. And if you ever need advice or guidance on choosing the perfect ring, the experts at GLAMIRA are always just a phone call away. Choose from an extensive selection of rose, yellow and white gold engagement rings for that special moment in your life. Or if you want to break with convention, there are also some elegant platinum and silver options available. Adorn your chosen ring with brilliant cut diamonds, sapphires, emeralds and rubies, or opt for an eye-catching Swarovski crystal. With so many exceptional gem and precious metal combinations to choose from, you can create a ring that is unique to you and your future spouse. If you’re looking for inspiration, the GLAMIRA.co.uk website will provide it in abundance. Browse hundreds of engagement rings in a wide range of colours, cuts and gem arrangements. Among the many unique designs to choose from are Solitaire, Eternity, Tension, Lovely, Halo and many more. So take your time, tap into your imagination, and select the engagement ring that will define a lifetime of love and happiness. GLAMIRA’s stunning selection for women aims to capture the beautiful charm of ladies of all ages. These items aren’t just luxury items; they are statements of affection; they are artistic creations. GLAMIRA sells dreams, and the ability to create your own items with various personalisation options means your imagination can roam free. Whether you choose a diamond engagement ring or an eye-catching brooch, you can capture a thousand words with just one item from GLAMIRA. Explore your own creativity with personalised items from GLAMIRA. Choose from a selection of deep-green emeralds, sumptuously blue sapphires or crystal clear diamonds. And then choose to have your favourite gem cut into platinum, silver or gold. And to add the perfect finishing touch, GLAMIRA will engrave a personal message onto your item - a message that will last for eternity. Browse the extensive selection of rings, necklaces, earrings, engagement rings, bangles and brooches at GLAMIRA. If you can’t find what you’re looking for, become your own designer and create something unique. Every woman wants to be special, and what better way to make that happen than to visualise a bespoke ring, necklace, brooch, earrings or bracelet - and then bring it to life? There is just something extra special about the purity and innocence of diamonds, which is why GLAMIRA diamonds are so popular with all kinds of people. Nothing says ‘Marry me’ like a diamond engagement ring, and you’ll be spoilt for choice when it comes to the variety available at GLAMIRA.co.uk. Choose from accent stones, centre stones and a wide selection of precious metals. Or if you’d prefer, select a diamond ring from the selection already available. But the diamond extravaganza at GLAMIRA doesn’t end there. Choose from some stunning diamond brooches - ideal for Mother’s Day, anniversaries and birthdays. And there is no more romantic way to say ‘I love you’ on Valentine’s Day than giving that special someone in your life a pair of diamond earrings. Diamond jewellery is perhaps the most luxurious and spectacular way to show someone that you care. Elegant, attention-grabbing and unique, the diamond jewellery to choose from at GLAMIRA.co.uk always makes a statement. A stunning ring is so much more than a simple piece of jewellery. It can be a statement of friendship, a fashion statement or a symbol of confidence. A ring is also the enduring symbol of love and commitment, and GLAMIRA is home to a wide range of diamond rings, engagement rings and wedding rings that befit such a momentous occasion in life. Whether you’re shopping for a loved-one or yourself, the sheer range available at GLAMIRA means you can mark every imaginable occasion in life with style and elegance. Choose from an extensive selection of rings including Solitaire, Halo, Flower, Lovely and Fashion designs. Whether you opt for white, rose or yellow gold - or maybe something in platinum - you have the option of going down the traditional route or being adventurous with something a little more flashy. Choose the perfect ring from a large selection including solitaire rings, promise rings, commitment rings and then have it engraved with a personalised message to give it added meaning. A necklace is a very public, bold statement about who you are - or about your love for another. The giving and receiving of a necklace is often a momentous occasion, so it’s important to choose something that has real meaning. At GLAMIRA.co.uk, you will find an extensive range of necklaces for every imaginable taste and occasion. Whether you are buying for yourself of a loved-one, GLAMIRA UK won’t let you down. Choosing your ideal necklace at GLAMIRA couldn’t be easier. Whether you want to search using your favourite stone, colour or metal, the filter function makes narrowing the choices a quick and simple process. Choose from the old classics, including diamond, sapphire, ruby, emerald and white sapphire. Maybe you would prefer a Swarovski crystal instead? Or a cultured pearl might represent the occasion more aptly. GLAMIRA UK is home to a wide selection of necklace styles, so you can create the look that perfectly matches the occasion or the preferences of that special someone in your life. The styles to choose from include Solitaire, Cross, Angel, Fashion and many more. Once you have chosen the ideal necklace, finish it off with a heartfelt inscription. Whether you are looking for discreet studs or bold and expressive hoops, the range of stunning earrings at GLAMIRA means you can’t fail to find the perfect pair. Stick to the traditional, or experiment with the dramatic - the choice is yours. With so many options and colour/metal/gem combinations, all you need in order to find that perfect pair of earrings, is time. GLAMIRA UK is home to a range of earrings for every fashion ensemble, occasion and personal preference. Start by choosing your favourite precious or semi-precious stone, or maybe you would prefer cultured pearls in your earrings? You will also be spoilt for choice when it comes to colours. Rose gold earrings in a ‘drop’ design are perfect for those formal occasions in life, such as dinner dates and glamorous nighttime engagements. And for more informal events, white gold studs with deep Swarovski crystals should set the right tone. GLAMIRA lets you decide what your earrings will look like. Select your favourite metal, colour, stone and design, and let the experts at one of the United Kingdom’s premier jewellers do the rest. Sophisticated, smart and oozing quality, the selection of men’s luxury items at GLAMIRA.co.uk means you can add a touch of elegance to your wardrobe. Or if you are looking for an item as a gift, the exclusive selection at GLAMIRA means you won’t need to look anywhere else. If you can’t find something perfect, design your own combination of precious metals and quality gems. As well as some stunning diamonds, sapphires, rubies and emeralds, GLAMIRA.co.uk brings you a range of lesser-known gems that all have their own tale to tell. Whether you’re looking for gold cufflinks with onyx or a stunning platinum wedding ring adorned with the stunning violet of pure amethyst, you will find it at GLAMIRA.co.uk. If you can’t find the perfect combination of precious metal and gem, you can create it yourself. Choose the perfect precious metal or alloy depending on your favoured colour - whether that is rose, white or yellow gold. And don’t forget to have a name or a special message engraved on your chosen item to give it a special meaning. GLAMIRA allows you to bring your design ideas to life - and create the look you or that special someone in your life has always dreamed of. The union between two people is far more than a piece of paper or a legal agreement. Marriage is about commitment, selflessness and - most importantly of all - love. And what better way to signify such a momentous union than with a truly stunning wedding ring? There are hundreds of exceptional wedding rings to choose from at GLAMIRA, so you can choose the one that means something special to you and your partner. GLAMIRA really does give you options in your search for the perfect wedding bands. Choose from white, rose or yellow gold - or break with tradition and opt for a pair of matching rings in platinum, palladium or silver. And choose the stone that means something special to you both, whether that is a brilliant diamond or zirconia. If you want to keep things simple, opt for stunning wedding band without stones. The wedding rings at GLAMIRA come in a range of stunning designs and cuts, so you have the choice of sticking with tradition or being adventurous. Choose from a wide selection of styles, including Classic, Twinset, Celtic, Memoire and Extravagant. 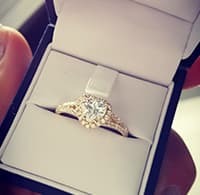 A wedding ring signifies the never-ending cycle of love - and you can trust GLAMIRA to provide you and your partner with wedding rings that suit such a huge commitment.